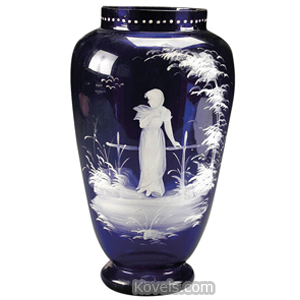 Mary Gregory is the name used for a type of glass that is easily identified. 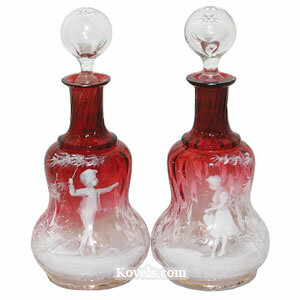 White figures were painted on clear or colored glass as the decoration. The figures chosen were usually children at play. 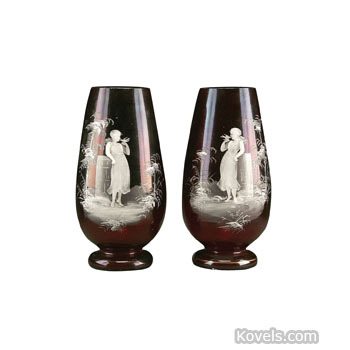 The first glass known as Mary Gregory was made about 1870. Similar glass is made even today. 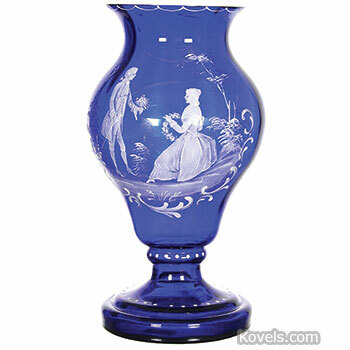 The traditional story has been that the glass was made at the Sandwich Glass works in Boston by a woman named Mary Gregory. Recent research suggests that it is possible that none was made at Sandwich. 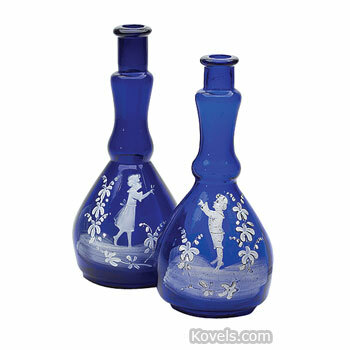 In fact, all early Mary Gregory glass was made in Bohemia. 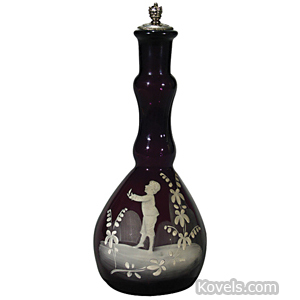 Mary Gregory did decorate glass, but she did not paint white enamel figures. 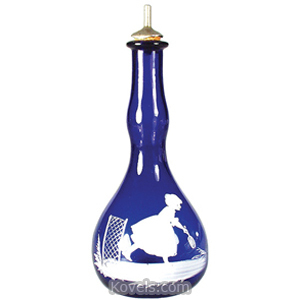 Beginning in 1957, the Westmoreland Glass Co. made the first Mary Gregory-type decorations on glassware in the United States. 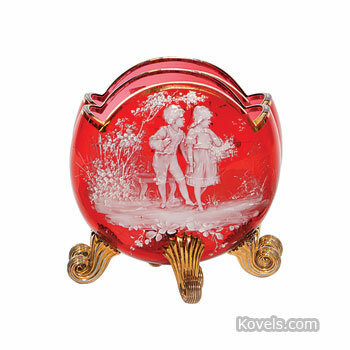 These pieces had simpler designs, less enamel paint, and more modern shapes. 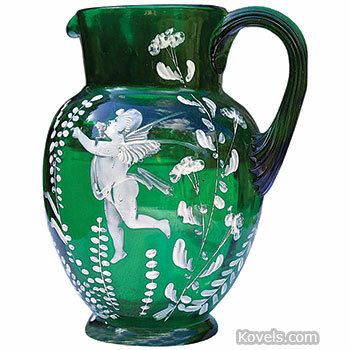 France, Italy, Germany, Switzerland, and England, as well as Bohemia, made this glassware. Children standing, not playing, were pictured after the 1950s.